THIS IS A SUPER RARE DESIGNER PIECE!! 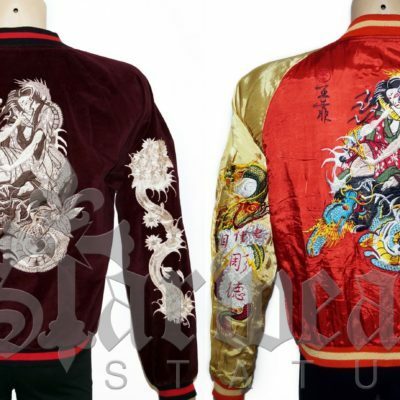 The Absolute HOLY GRAIL of Japanese Sukajan Inspired Jackets and made by EXCLUSIVE DESIGNER LABEL TO THE STARS AMAL GUESSOUS!! “A&G”. SIZE DETAILS: SIZE (MENS) LARGE. – WILL ALSO FIT SIZE “MEDIUM” COMFORTABLY. – HAS ELASTIC CUFFS & WAISTBAND FLEXIBILITY FOR A VERSATILE TAILORED FIT. Usher performs during the 1st Annual BET Awards June 19, 2001 at the Paris Hotel and Casino in Las Vegas, Nevada. 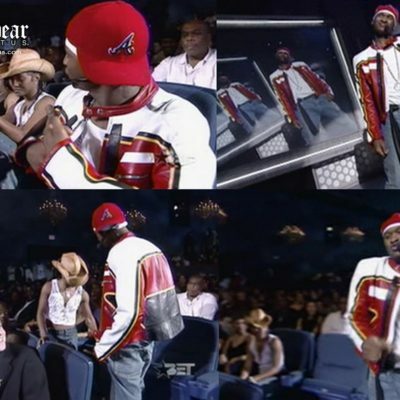 Here’s the footage – CLICK HERE TO WATCH USHER PERFORMING AT THE BET AWARDS IN 2001. 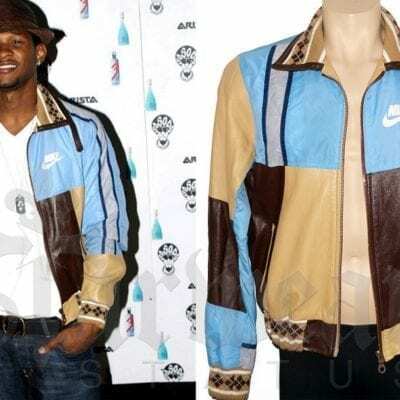 THIS IS THAT IMPOSSIBLE TO FIND JACKET FROM CIRCA “2001” & SEEN WORN BY USHER RAYMOND ON THE BET AWARDS IN 2001! RARE RARE RARE!! Men’s US Size: Large (Will fit ‘Medium’ Comfortably!) UK Size: 42. Europe Size: 52. 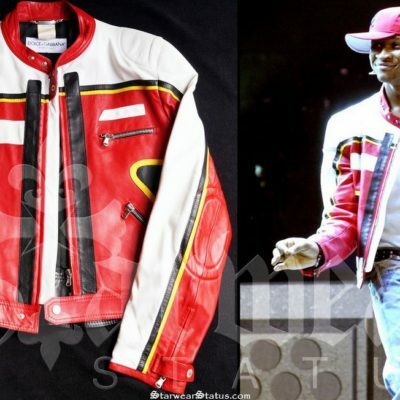 (As Worn By Usher Raymond IV) at the 2001 BET Awards & during other live performances! A VERY RARE PIECE BY THE FAMOUS EXCLUSIVE DESIGNER BRAND “JADED BY KNIGHT” SIZE “L” RRP – $5,000.00. Completely ONE OF A KIND this really sets the benchmark and has all the quality preparing you for your next VIP Event, Stage Show, or Music Video!! This is why at Starwear Status “Exclusivity is out priority” and you the client will get the credit you deserve. 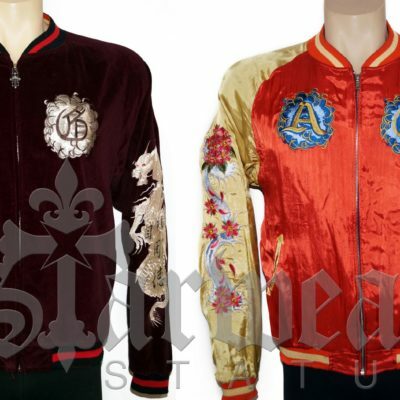 100% Genuine Quality Leather Details including Massive Leather CROSS Artwork, Full Leather Collar trim, with beautiful Red Rose embroidery and Amazing craftsmanship! Hand Crafted in: Los Angeles, CA. Founded in 2004, Jaded by Knight is the product of two passionate young designers from Los Angeles- Noah Dayani and Michael Amiri. The original inspiration was to create a new definition of rock luxury based on exclusivity and one of a kind design, the brand is currently carried by some of the world’s most exclusive shops such as L’eclaireur in Paris, Harvey Nichols in London, Jades in Duesseldorf, and H. Lorenzo in Los Angeles. In the past few years Jaded by Knight has gone beyond the definition of a fashion brand and has moved towards representing a lifestyle and culture that is shared among the world’s elite. Their signature design concept consisted of manipulating unique fashion pieces from street markets and vintage stores around the world to re-create a product that would embody the essence of privilege and individuality. 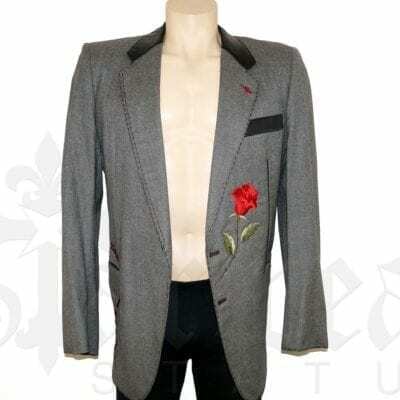 Their look is accomplished by utilizing expert tailoring and innovative embellishment. These methods include hand cutting designs from exotic leathers, intricate stitch and embroidery concepts, and elegant patterns of swarovski crystals. 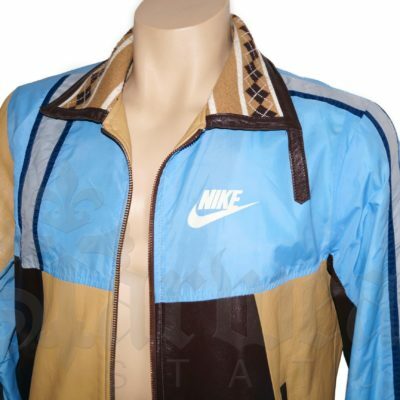 POSSIBLY THE COOLEST DR X ROMANELLI x NIKE COLLABORATION JACKET EVER MADE!! 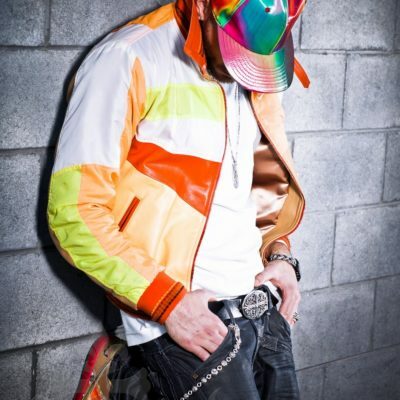 **As Seen Worn By Usher Raymond, Chris Brown and Various other Superstars throughout HOLLYWOOD! 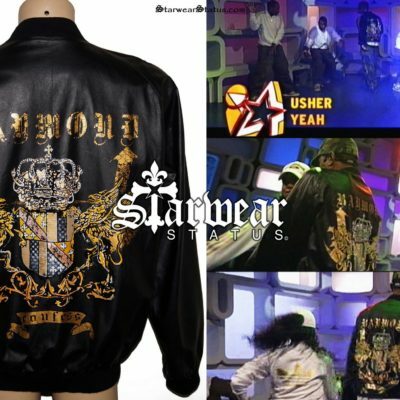 ** (Refer to Video) Usher – You Don’t Have to Call Live, Usher and dancers wearing Dr X Romanelli Nike Jackets on Stage. The Dr X Romanelli brand is known for reconstructing vintage garments into completely new creation. This piece was crafted from original vintage Nike Flight Jackets to make this custom creation. 100% Genuine Quality soft Leather Details with Amazing craftsmanship! 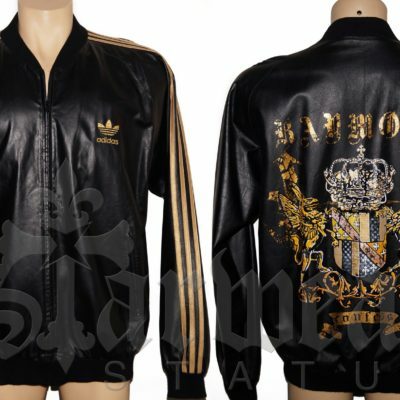 Material: Soft Leather, Nylon, Cotton & Full Silk Inner Liner Detailing!! Nike – RECONSTRUCT Project – In 2004 Nike approached various designers throughout Los Angeles and gave them 24 hours to work with a box of Nike scraps off the cutting room floor. Romanelli’s creations for RECONSTRUCT inspired a DR. Romanelli / Nike collaboration, creating intricate patchwork jackets from vintage Nike jumpers. This Nike / DR. Romanelli collaboration is ongoing.